Here are a few shots from my quick trip up to the Black Butte Sub Friday evening/Sat Morning. Many thanks to M.M. for helping with the symbols! On the flank of Mt. 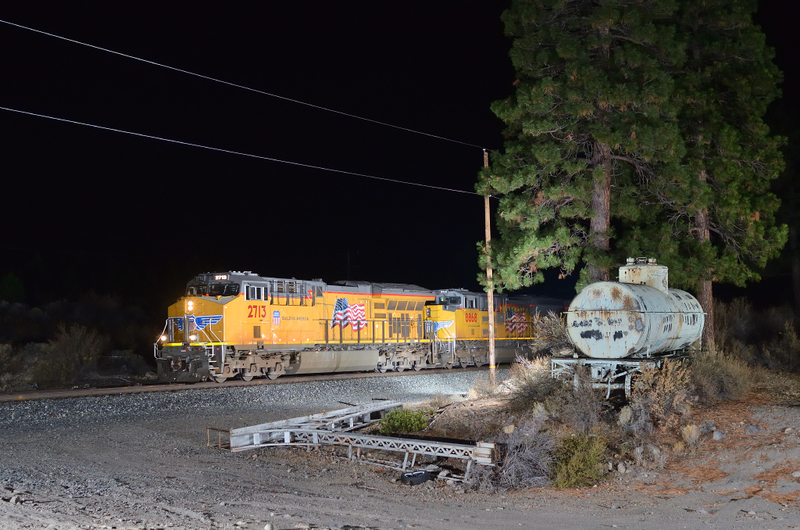 Shasta at Hotlum, the silence of a cool November night is broken by the roar of the Union Pacific MRVPT as it works its way up the 1.4% grade to Grass Lake Summit. The carcass of a cantilever signal and the old SP tank car set up for fire protection give a reminder of who's railroad this once was. 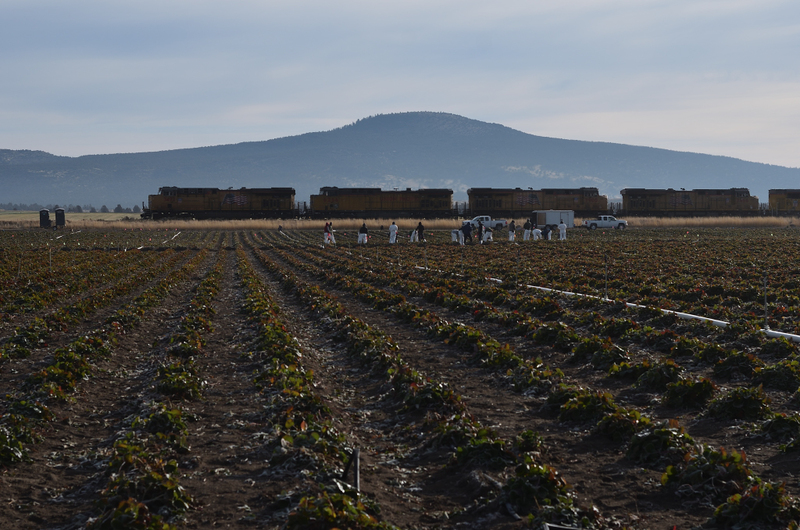 On a chilly autumn morning with frost still clinging to the ground, farm workers prepare strawberry fields near Macdoel California for the coming winter while a Union Pacific Roseville to Hinkle Manifest (MRVHK) rolls north in the background. 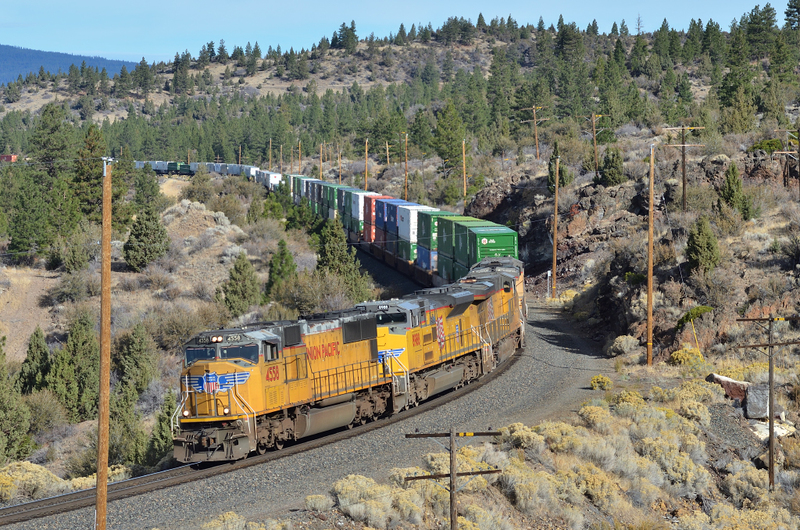 A late running Brooklyn Z train rounds a curve on the flank of Mt. Shasta as it approaches Andesite. A few more Black Butte Sub shots from the last year or so can be found in this Album.